Make playtime fun again, filled with imagination and laughter. Too many toys today require batteries and quick thumbs. Let this simple toy remind you of the fun that children should be having using their imaginations and participating in real active playtime. 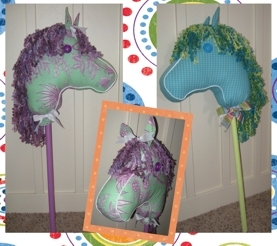 Boys and girls will enjoy galloping around with this pony!